Who doesn’t love Dwayne “The Rock” Johnson? While not all of the movies he does are Oscar contenders, they are always fun! His newest film is Rampage! 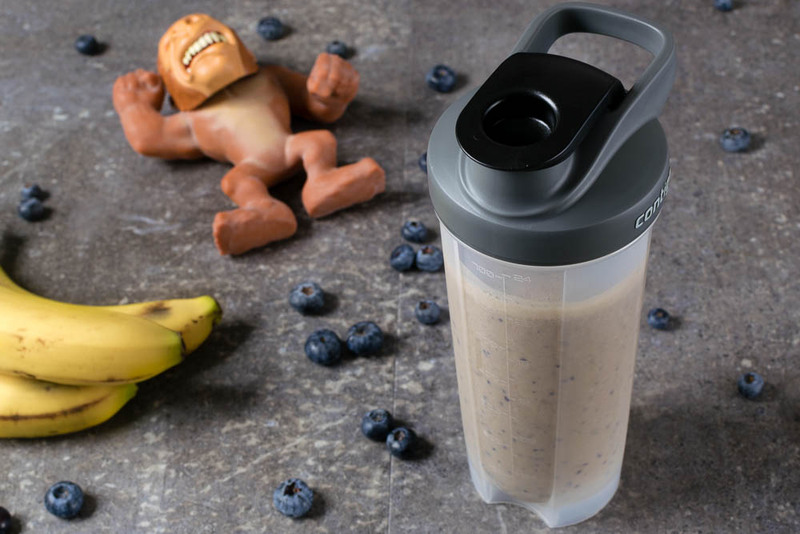 Not only are we giving away 20 pairs of VIP Advanced Screening Passes but we’ve also come up with a delicous new recipe for George’s Blueberry Vanilla Chai Protein Shake. Afterall, the tagline for the movie is “Big Meets Bigger”. It feels like lately we’ve been taking on more movies that are a challenge. This recipe was no exception. However, with the above mentioned tagline being used for Rampage, we decided that a protein shake would be fun. We don’t spend a ton of time in the gym but from our experience, protein shakes don’t usually taste very good. We decided to improve that! Add a banana and some blueberries for color and BAM, a delicious AND healthy snack! 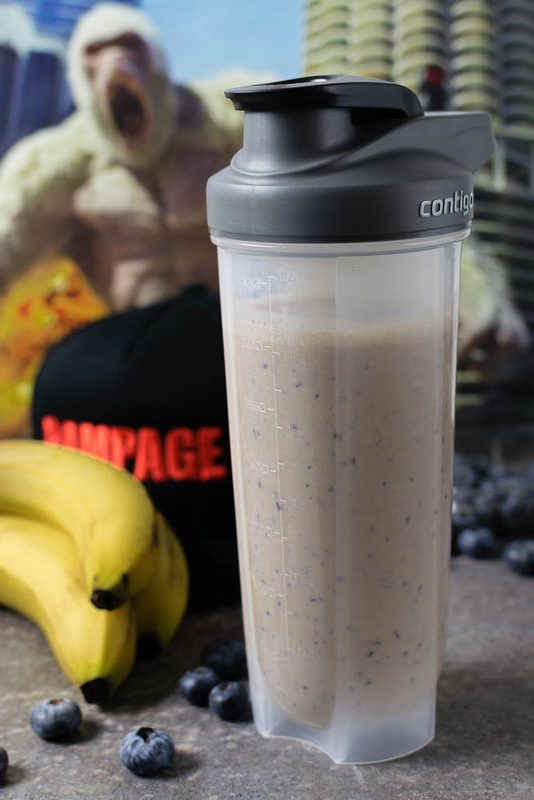 We hope you enjoy George’s Blueberry Vanilla Chai Protein Shake! Now that you have a geeky post workout shake recipe, you are ready for some fun! We are giving away 20 pairs of VIP Advanced Screening Passes for a sneak preview of Rampage! The screening will be held at Harkins Arizona Mills on Monday, April 9th. The screening starts at 7 pm and the winners should arrive at 6:15 in order to guarantee their seating. Winners will be selected on Sunday, April 8th. Good luck!